Q. How do I book the Party Bus? speak directly to an experienced English travel consultant. Q. How much deposit do you take and how do I settle the payment? bank transfer to our UK bank account or securely online via Paypal. are no exceptions to this rule. Q. What about last minute bookings? A All bookings made within 7 days of the date of travel are considered as last minute ones. We DO take last minute bookings but in such cases, we require a 50 % deposit of the total order value. Q. What about possible cancellation costs? the full outstanding balance even if you cancel your tour 72h prior to your arrival. Q . What if our flight is delayed? A. We will do our best to wait for you even if your flight is delayed and we will not add any surcharges for this. However, there might occur situations where we have another group coming and we can’t wait any longer. In such cases, we can either postpone your transfer to a later time agreed with you, or we’ll give you an invoice and help you claim back the value of the lost transfer from the air carriers who have caused the problem. Q. Do I have to book the whole bus? to match you with another group which would agree on sharing the bus. Just ask us. Q. Is there a minimal number of people required to book the bus? independent of the number of participants. Q. What is the difference between Partybus.PL and other similar companies? A. First of all, there are no similar companies in Poland. What makes us different from other overseas companies is the fact that we don’t simply offer a bus with balloons, streamers and some audio equipment. The Partybus.PL is a state of the art, custom-designed vehicle, equipped with min: 32’’LCD plus DVD with karaoke option + Xbox 360 with a wide set of games + state of art sound system + smoke maker + disco laser + remote controlled sublit ceiling + leather sofas + dancing pole and much, much more…! And it caters for groups of up to 33 people. It’s very exclusive, but at the same time available to all people who want to book it. Unlike some other overseas companies, we also welcome stag & hen groups onboard. Having had a lot of good experiences from both company trips and stag and hen groups, we welcome everybody. to 9 people- the Partybus takes onboard over 33 people and it steel feels comfortable. Q. We’re a small group- up to 9 people. Wouldn’t it be more profitable for us to book just a stretched limo? Q. I am a stag/corporate customer- can I book the trip from another category? A. Yes, certainly. The tours are divided into categories just for ease of navigation and what we think, based on experience, would be of biggest interest for your group. Q. What nightspots do you visit? A. Krakow has over 300 clubs and pubs located in the city centre, and we have put a lot of effort into choosing the best & hottest ones. We have hand-picked over 30 places which we think are really representative of this city. Q. What time do your nightlife tours start? A. Good clothes are essential for all of our nightlife tours which means no trainers and no sport t-shirts are allowed, mainly due to nightclub policy. Polo shirts with jeans are fine, but no shorts even if your legs are as nice as our guides’! However, this doesn’t apply to airport pick- ups where casual clothing is normal. Fancy dress is also acceptable even on nightlife tours, provided you let us know in advance so we can put you to the right club. The rules in Poland are the same as in any other EU state, so don’t try to do anything here that you wouldn’t in your own country. Q. Are there any age restrictions to book the bus? A. 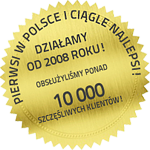 According to Polish law, all participants of nightlife tours must be 18 +. For airport pick-ups there is no such restriction, but if you want to add a stripper, you still have to be 18 or over. Q. Can we have a tailor made tour? A. The answer is yes. Tours given on the web site are the most popular ones but you can tailor a tour according to your needs- just contact us for details. This company works hard to bring clients what they require and our sales personnel are there to advise and not to sell. If you call us or we call you, please feel confident that we are seeking the best deal for our clients and are committed to keeping costs to a minimum. Q. Is alcohol provided onboard the bus? service provided before the nightclub evenings. Q. Do you organise any other events?